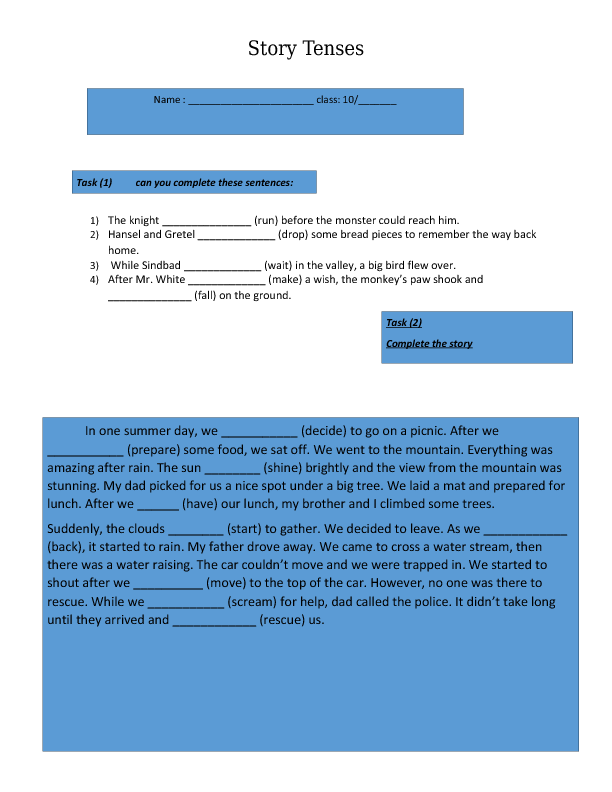 This is a worksheet to practice story tenses: past simple, past perfect and past continuous. It suits intermediate level. It includes two tasks. The first task includes 5 sentences to be completed by the correct form of the infinitive verb given between brackets. the second is a brief story with incompleted sentences. Students have to complete with a past simple, perfect or continuous verb.